$350. 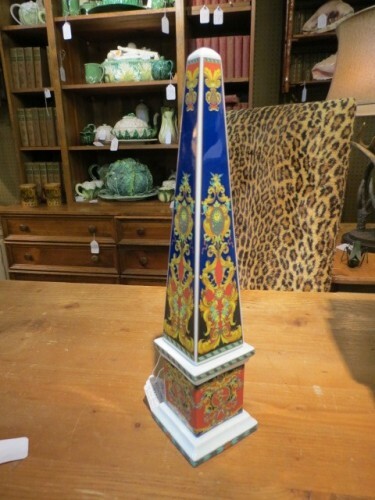 Versace Rosenthal Le Roi Soleil porcelain obelisk. 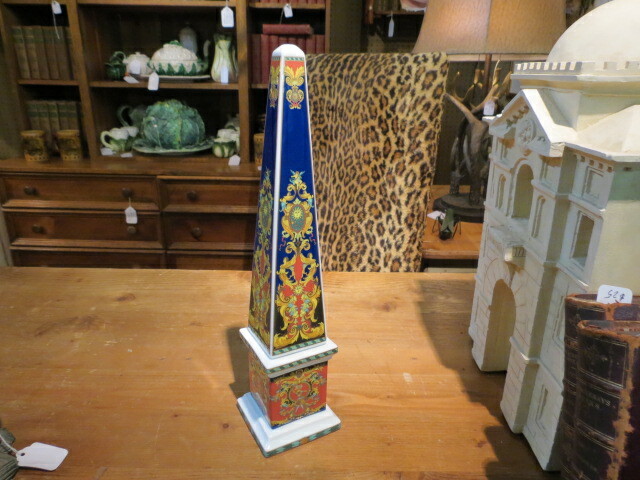 the obelisk features a deep cobalt background with elaborate red, yellow and blue scroll patterns. the same piece sold for $550 on eBay. excellent condition. 15" tall, 3.5" wide. delivery available. 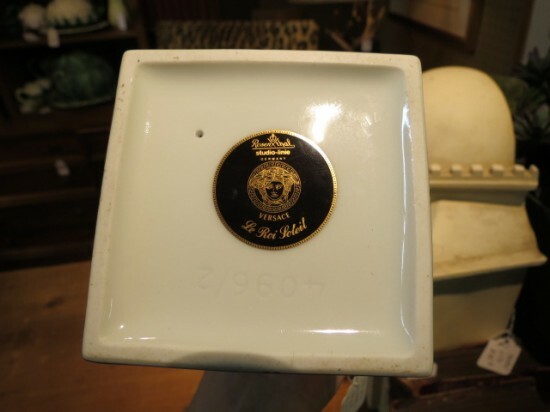 call lincoln antique mall for more info 773-848-3070. 3115 w irving park rd. open Monday-Saturday 11-7, Sunday 12-6. 7500 square feet of vintage and antiques! voted best antique store in chicago. like us on facebook to see the newest arrivals. WE BUY vintage and antique furniture, chandeliers. $350. Versace Rosenthal Le Roi Soleil porcelain obelisk. 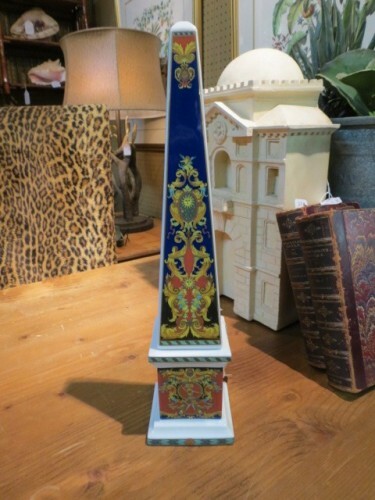 the obelisk features a deep cobalt background with elaborate red, yellow and blue scroll patterns. the same piece sold for $550 on eBay. excellent condition. 15″ tall, 3.5″ wide. delivery available. call lincoln antique mall for more info 773-848-3070. 3115 w irving park rd. open Monday-Saturday 11-7, Sunday 12-6. 7500 square feet of vintage and antiques! voted best antique store in chicago. like us on facebook to see the newest arrivals. WE BUY vintage and antique furniture, chandeliers.